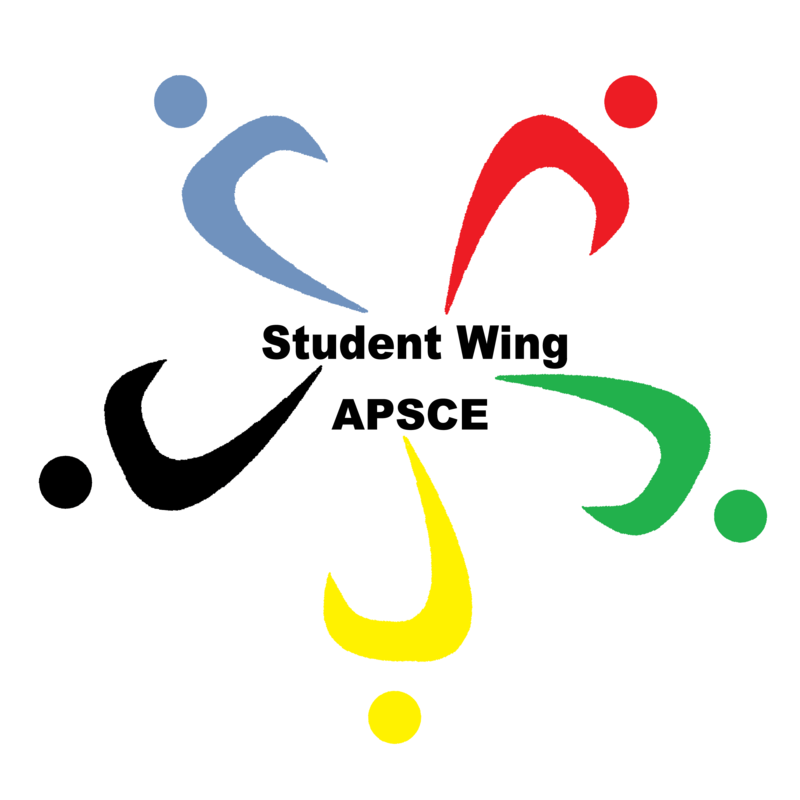 The APSCE Student Wing is meant for engage and empower student volunteers in organizing student activities and building a student network both within and beyond International Conference on Computers in Education (ICCE), and providing assistance to APSCE Executive Committee (EC) operations. This may also become a platform for APSCE and ICCEs to nurture future leaders. The logo is made up of five abstract people, symbolizing students and student wing members. The five colors of the logo (blue, red, green, yellow and black) are the same as the colors of the APSCE logo. The overall shape of the logo is also a flower and has a dynamic rotating visual effect, it represents the vitality of the students and the spirit of progress.